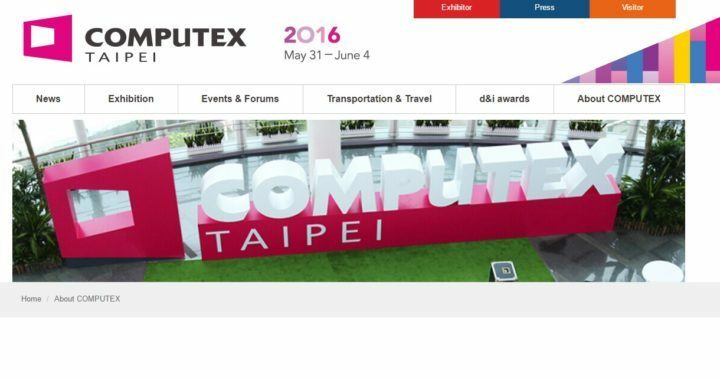 Next week, over 100,000 tech industry companies from over 29 countries will gather at COMPUTEX 2016 in Taipei to discuss the latest news, trends, and projects in the industry. None other than Microsoft will be there as well, and revealed its focuses at this year’s conference. At COMPUTEX 2016, Microsoft will talk about its futuristic vision regarding modern Windows devices and experiences. The tech giant will focus on how its Windows 10 technologies such as Windows Hello, Windows Ink, Cortana, and others can bring new and exciting experiences to users on various devices — a subtle way of saying that Microsoft has new apps and features up its sleeve and will reveal them at Computex. The partner ecosystem is critical to our success and we continue to work hard with our hardware partners to create opportunities, drive innovation, and deliver incredible Windows devices to the world. This year’s COMPUTEX is particularly exciting because I’ll be joined by Terry Myerson, executive vice president, Windows & Devices Group, and Alex Kipman, technical fellow and inventor of Microsoft HoloLens, to explore how Windows 10 can inspire all new devices. The HoloLens augmented reality device has a lot of potential in various fields: gaming (although Microsoft said HoloLens was not for gaming), warehouses technology, hospitals, and even space exploration. So far, Microsoft has been a bit secretive about HoloLens. Maybe it’s time for the company to be more generous about this project’s details. COMPUTEX 2016 offers just the right opportunity for this.